East London Line - May 2010, originally uploaded to flickr by Danny McL. 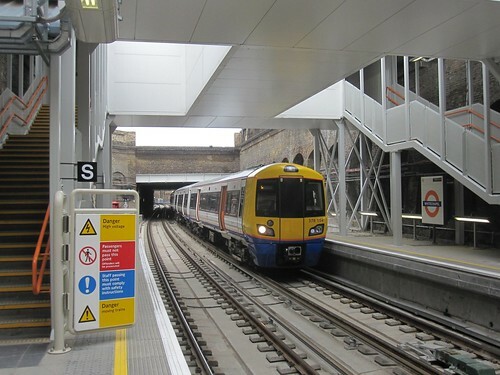 The East London Line extension has now opened with this fleet of new trains. With further extensions it will eventually link Highbury with various destinations in south and south-east London. There are many journeys that people will now be able to make faster and more easily. Of course this will have a significant effect on rents and property prices, and so yet again we shall see public investment creating land value which will end up in private pockets. No wonder the Treasury is tight-fisted about spending money on railway improvements.